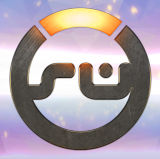 A group for Overwatch players, mostly PC and XB1 players here, feel free to join if you own or plan on owning the game. we meet for scheduled events or put a callout if you want to play with anyone. News, shares or post your play of the games here!